Vivacious Dish honors the gift of nutrient dense foods to connect us more deeply with ourselves, our communities and Mother Earth. 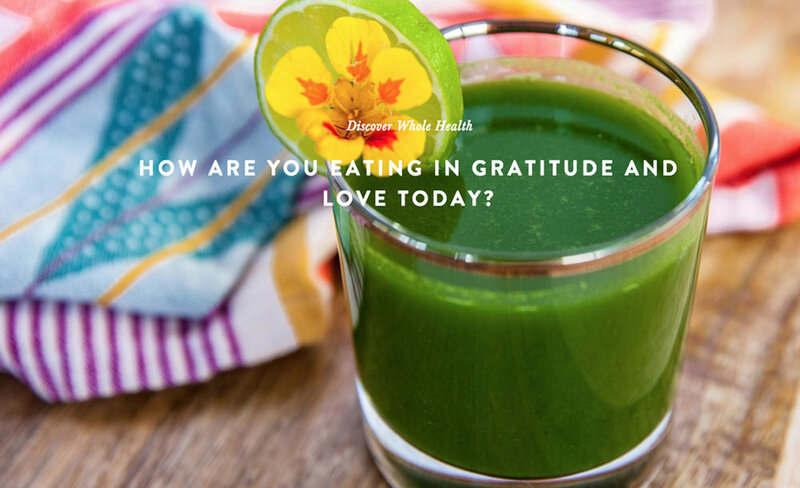 Together on this delicious life journey, may we each find inspiration and support to pursue our happiest and healthiest selves, and in so doing, help heal the world. Get creative in your kitchen with delicious recipes for every occasion. Here you will find quick and nourishing weeknight meal options as well as easy to follow instructions for making the perfect grain-free pie and many delights in between. Order rave reviewed desserts for your next party, special occasion or just because. Enjoy chocolates, cakes, cookies, pastries and cheesecakes handmade with sustainably sourced grain-free, gluten-free and refined sugar-free ingredients. Want to kick start your journey to whole health? Looking to savor the bounty of seasonal ingredients with your local community? Schedule a personal wellness consultation or hire Kathryn as your chef for an upcoming retreat or event. “I LOVE your Pumpkin Cheesecake, Chakra Chocolates and grain-free pastries. They may be the tastiest and healthiest I have had. Thank you for your loving preparation of this nourishing food. I will definitely be purchasing more from you!" Subscribe for exclusive recipes, cooking videos and discounts on special events. Thank you and wishing you a vivacious day!